Some movies become favorites by inheritance. For me (Aaron), my mom made sure I grew up on The Princess Bride. My dad made sure I got introduced to Spaceballs and this week’s choice. To say my sense of humor was formed by early exposure to those movie’s is a pretty big understatement. Last week Michael brought Gattaca to the table. This week Aaron takes Michael out from under the proverbial rock for Monty Python & the Holy Grail. Aaron Hubbard: This is one of those movies I just expect everyone to see. Not necessarily like it, but at least see it. So when Michael told me he hadn’t I knew this had to be featured on the column at some point. Michael Ornelas: And I’d been meaning to forever just because I feel this is a big one from a cultural standpoint. I’m glad to have seen it, but we’ll get more into my specific thoughts below. Aaron: The degree to which I genuinely bother to critique something is directly correlated to how seriously it takes itself. Some movies can live up to their own seriousness (No Country For Old Men) while others crumble under the weight of lofty goals they have no hopes of achieving (Batman v. Superman: Dawn of Justice). This movie doesn’t take itself seriously at all. Which is not to take away from the talent and the work, but just to make a point. Is The Holy Grail a great film? I couldn’t tell you. Do I love it to death? Absolutely. Michael: I’m a little different from you, but I also evaluate movies on the scale of “what do I think the filmmaker intended for this to be?” That’s why I adore The Cabin in the Woods: I feel it accomplished everything it wanted and then some. But that doesn’t mean what the filmmaker wanted always makes for a good movie, and that also matters to me (where, at least based on your last sentence, it’s less important to you). That said, Holy Grail was everything I think it was intended to be, and it was well executed, and the plot worked (though it was minimal), so I think it checked all the boxes I needed it to while still fulfilling the creation of its own identity as a movie. Aaron: I just mean I am less likely to nitpick things that are silly when I feel a movie isn’t really trying to he serious. You aren’t going to get Oscar bait from a movie that start the Teenage Mutant Ninja Turtles. Monty Python and the Holy Grail is a series of skits loosely tied together by a plot and capped off with some excellent brick jokes. The closest modern equivalent I can think of is Keanu; professional comedians using a plot to tie together a bunch of good comedy bits. Michael: Gag-based humor is very difficult for me to consume. It often reeks of trying to hard and is rarely intelligent. So, knowing that Monty Python is all about gags, I was not looking forward to this movie. I actually found the implementation of gags to be very smart. Even the ones I’ve heard quoted all the time (without knowing the context) such as the discussion of the European vs. the African swallow and the fight with the Black Knight landed very well with me. The movie’s joke pacing is breakneck, and it all works (for the most part). And even better: it all furthers the plot.There were very few jokes that seemed to sidetrack the film, and I appreciate that greatly. 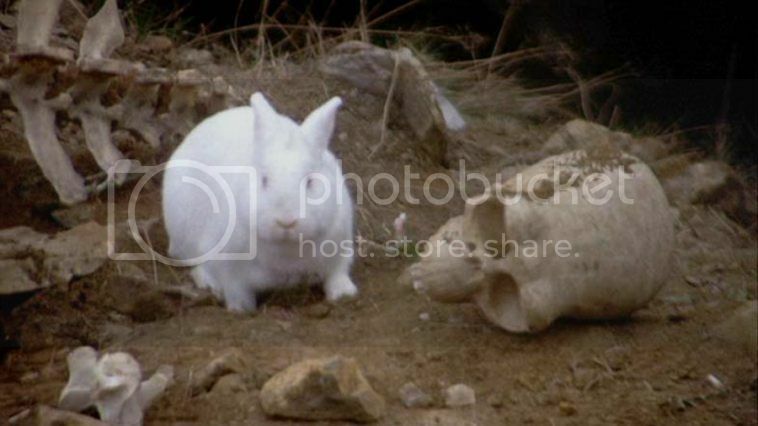 Also, the scene in which the rabbit viciously murders members of the Round Table had me cracking up. A big part of comedic theory comes from breaking expectations, so of course seeing a rabbit be this vicious guardian did that and earned a chuckle from me…but then seeing it actually be vicious really sealed the deal as a brilliant scene. Great stuff. Aaron: Those are great scenes, and probably the ones that are most iconic. What I like about this film though is that it’s so good throughout that there’s almost always some joke I forgot or will just stand out to me on that particular viewing. One of my favorite gags is when they are being chased by the dragon and the artist dies. It always catches me off guard. I’m also a fan of Castle Anthrax and the taunting Frenchman. Michael: And I think that’s the point of gag-centric humor: it’s not going to hit with everyone every time, but there’s something in it for everyone at some point. I don’t think anyone could watch this movie and say that nothing made them laugh. It’s the idea that you miss 100% of the shots you don’t take. By taking a lot of shots, you ensure that you make quite a few of them. That’s what this movie did, and while I’m not necessarily a fan of that style, it was done very well here and I commend them for that. Aaron: Comedy is probably the most subjective art form out there and takes a particular set of skills. As a rule, I don’t enjoy a lot of comedies; the movies that make me laugh most are ones that have great character humor and situational humor. Star Wars, The Avengers, and the like. But I do have a soft spot for parody, especially if it is something I love. Young Frankenstein and Spaceballs come to mind. This film parodies something I love and mines humor from situations that only work in the genre. Naturally, I love it. Michael: Parody is something I used to love, but now I think it can be one of the laziest artforms. Sure, there is something to be said for taking something serious and finding humor in it and reframing it that way, but it often throws making original jokes out the window and settles for just making fun of existing content in the most obvious ways possible. That’s why I enjoyed this film so much, is most of the satire on the genre comes out of left field, and I get the feeling that much more effort went into executing these jokes. 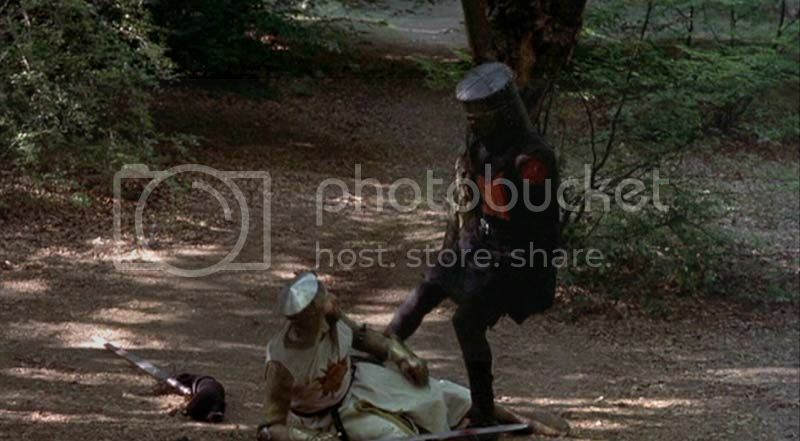 Other parodies of this genre exist and none of them have so much as made a mark (barring The Princess Bride), and I think that speaks to how definitive Monty Python & the Holy Grail really is. Aaron: Well, I love it when it is done well. Even Mel Brooks’ Robin Hood: Men in Tights couldn’t really make a mark here. Monty Python and the Holy Grail is the definitive movie for the genre, and I can’t imagine anything in the near future challenging it. 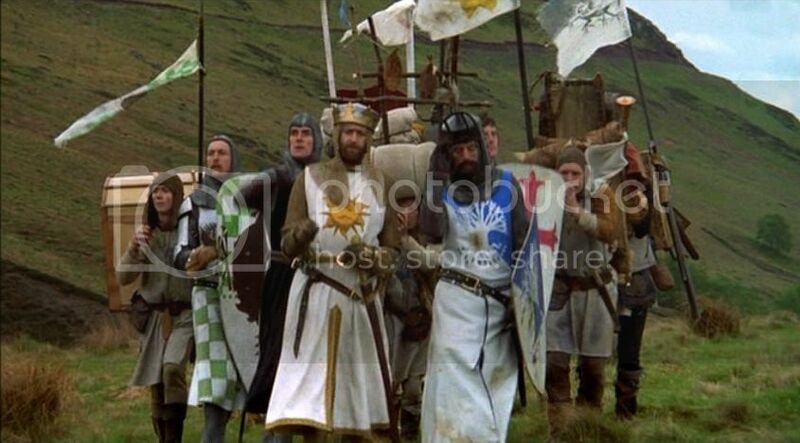 Aaron: “Monty Python and the Holy Grail” is one of the best examples of what it wants to be. Your ability to enjoy the film will depend on how this type of comedy works for you. I enjoy the heck out of it and bust it out every couple of years. Michael: The plot worked, the jokes worked, the characters were memorable, and it was well-shot. This movie didn’t do anything wrong, and had it been more up my alley in general, I’d probably go higher with the rating. The difference between an A- and an A+ for me is just if a film resonates with me. I’ll probably watch this again down the road, as I’m very glad I saw it, but it’s not going to be regularly added to my rotation, so to speak. My one gripe is that the side characters are much more memorable than the main ones, but that’s partially to be expected in a movie like this because the entire conflict from scenes came from the new characters in them, and how the constants dealt with them. Aaron: Well now, that seemed to surpass your expectations. Michael: It did. I’m never so biased against a type of movie that I won’t give it a fair shot. As soon as I spent a good minute and a half trying to turn off subtitles before realizing they were a gag, I gave them credit for being smart. That, and the first 22 minutes or so really impressed me, and whenever it dwindled, it would follow up with something that I loved. What is your name? Your quest? Your favorite color? 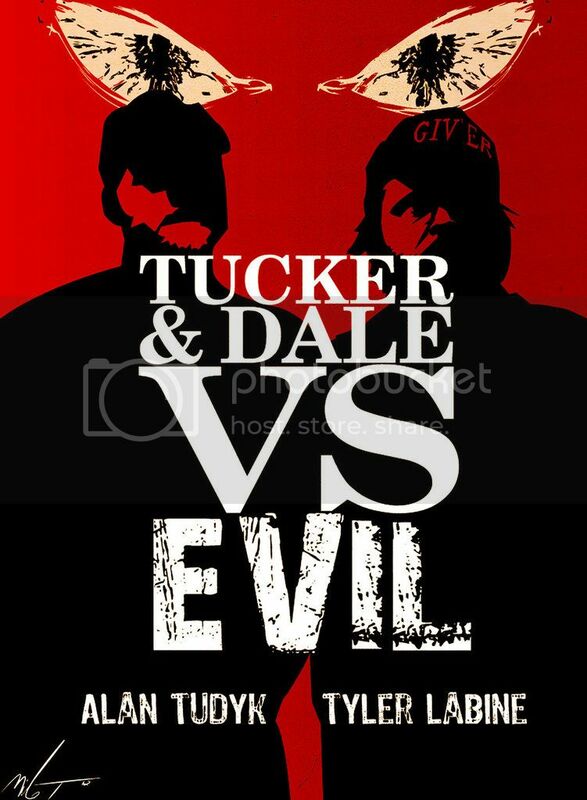 Michael: Next week’s pick is among the cleverest horror/comedies I’ve ever seen. I’ve been very excited to bring this one to Aaron for quite some time, and now it’s finally the right moment. Aaron: I know nothing about this movie except that it has zombies and an exceptional title. I just hope the film is as memorable as its name. Michael: Well there also aren’t zombies, so you know less about it than the small amount you actually thought you did, and that makes me laugh inside. And outside. But you will love this movie. It’s very much up your alley. 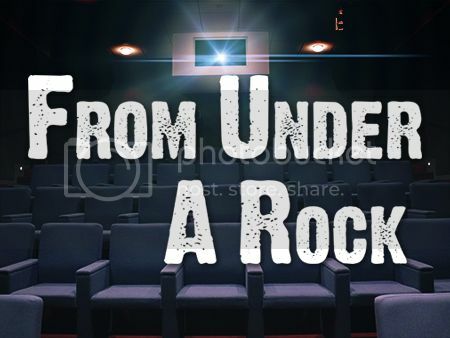 What’s your favorite movie that’s flown under the radar? In this week’s episode, Michael reviews Magic: The Gathering trading cards as a form of currency. He tries to pay rent, pay for his food at Wendy’s, and even sell counterfeit cards to a store. This week got hairy: check it out! Last week, I took a look at DC’s most deadliest marksman, Deadshot. This week I look at his most notorious Suicide Squad teammate, Harley Quinn. Check me out here to see my star ratings for 450 films. I will steadily be adding reviews for them as well as creating various lists that anonymous internet commenters can vehemently disagree with! Monty Python and the Holy Grail is such a major part of film geek (and just geek) culture that it almost seems necessary to question its quality from time to time. But repeated viewings only serve to confirm that is as uproariously funny as you remember it. Highly recommended.